I tend to find myself agreeing a lot with what David Diamond says. I’m a big fan of both of his books and I have had a number of conversations with him about DAM-related topics over the years. On this occasion, however, I don’t share his opinion. The limitations of LinkedIn’s discussion boards where they have decided to restrict the number of characters per post make it difficult to debate this topic in the depth that it deserves, hence why I am posting on DAM News. Firstly, let’s consider the frame of reference. Earlier this month, I posted a definition of digital assets on our new title, Digital Asset News, the short version of which is: “a collection of binary data which is self-contained, uniquely identifiable and has a value” and I based this on two DAM News articles I wrote in January and February 2016. As David has described, other subject domains are now independently using the term ‘digital assets’. He points to the financial sector, but there are governments and legislative bodies across the world also referring to them in the context of ownership and inheritance of social media accounts if the owner dies or is incapacitated. These are digital assets too, for example if you have a social media account with a very large number of followers, this is a substantial asset, i.e. it has a lot of value and it is digital, hence ‘digital asset’. A few months ago, we published an article by Medhat Mahoun, Digital Assets From IoT To Blockchain Will Become Everyone’s Business which also raises the same point about collections of Internet of Things (IoT) data. The title of this piece was very well chosen, he is exactly right. Rather than being taken over, digital assets as a description is being utilised by lots of other fields because it is equally relevant to them. The majority of readers of this publication are interested in ‘content’ or ‘media’ assets, i.e. images, videos and (to a lesser extent) documents. The definition I provided also applies, at the base level, they are no more than a self-contained collection of binary data which you can uniquely identify and has a value. You might call this field ‘Content Digital Asset Management’ or perhaps ‘Media Digital Asset Management’, but you are still dealing with digital assets and therefore, Digital Asset Management remains a legitimate description. Apart from semantics, why is this important? Let’s go back to that interoperability subject that everyone in DAM claims they care about (even though most of the evidence suggests otherwise). If there is a core entity (i.e. a digital asset) then connecting all of these pieces together becomes a lot easier, along with extracting untapped value which might not have been possible hitherto. Readers with some knowledge of software engineering (in particular object-oriented methods) will be familiar with concepts like ‘base classes’. For those who are non-technical, this is like the atomic unit or core data element in computer programs where models which represent things in the real world are used to hold data. Having a standard model which everything else is derived from makes it far easier to exchange data and combine tools or techniques in ways that were not originally conceived of. Digital assets are just such a model which lots of different systems can utilise as containers of data. The terminology is subject-agnostic and emphasises that adding value is what everyone and everything who is associated with an organisation (whether commercial or otherwise) is supposed to be interested in. The previous example is the a lower-level rationalisation for why digital assets are a suitable description, but there are higher-level, business-oriented reasons to use it it too. Many Digital Asset Management initiatives I am involved with currently are part of a wider Digital Transformation programme where Content Digital Asset Management is one piece among many. The business case for Digital Transformation is that by converting manual processes into digital equivalents they become easier to manipulate and re-model, then analyse and improve. The yield (or product) from these new digital processes has to be measured and as such, digital assets hold the raw data (aka ‘facts’) that can refute or prove ROI and also provide an opportunity to continuously improve them. Digital assets are therefore the tangible value which you can count, audit, exchange and re-use, hence why they are a metaphor that many domains now want to employ for their own unique purposes. If you talk to a C-level executive about ‘content’, some of them from different functions such as marketing might be interested. If you mention ‘asset value’, this is an area that has potential relevance to all of them. On the topic of Google searches and keywords being used by large financial institutions to describe blockchain or crypto-digital asset innovations, the implication of this is that interest in digital assets is growing. The issue about confusion over terms and competition between different interest groups is not new, I doubt I’m alone in still getting cold-called by sales people from firms who deal with business assets like cranes, fleets of company cars etc (or even non-digital financial assets again such as stocks, bonds etc). The instinct is not wrong, they are assets, it’s their failure to correctly identify the specific types that I am interested in which is at fault. The same will occur with digital assets, so users are more likely to prefix with the term with something more specific to their needs, e.g. I am not looking for just ‘a car’, I want an ‘electric car’, or an ‘ estate electric car’ and so on. Prospective digital asset users need to be credited with a bit more intelligence and vendor marketing people need to apply a bit of lateral thinking to their marketing strategies (this is arguably somewhat overdue anyway). The idea that the term ‘content management’ is going to be haven of untapped relevance for ‘ex-DAM refugees’ simply because there aren’t financial institutions competing for AdWords or organic search rankings is delusional. Tech marketers are more likely to use on-line marketing channels to access prospective customers which means there are a number of ECM and WCM marketers already very actively pursuing it (and in many cases, they have bigger budgets to spend also). The cost of switching to an alternative where there is already an established group of vendors who target these terms will cause further price inflation in ‘content management’ as a keyword market (which is another digital asset domain in itself, I note). I can foresee a somewhat ironic scenario emerging here where ECM vendors decide to rename their products ‘Digital Asset Management’ to avoid the over-crowded ‘Content Management’ space and to simultaneously take advantage of the fact that a lot more people are now interested in ‘Digital Assets’. There is some evidence that this is already happening now. Prefixing ‘Digital Asset Management’ with ‘Content’ or ‘Media’ to differentiate it is an idea not without merit, but digital assets are what is at the heart of all this. The more the protocols used to manage them are integrated with sectors that deal with other types of digital asset, the more useful (and therefore valuable) they are likely to become. The sector represented by what is currently called Digital Asset Management has decades of accumulated expertise in all the important strategic and tactical considerations of digital assets (metadata being key among these) and that knowledge should be leveraged, not disposed of. Rather than simply giving up and ceding their stake in the ‘digital asset’ term, the content DAM industry should be making its case to be considered an equal partner. Enough people in DAM complain that senior executives do not care about what they are doing and treat it as an irrelevance, this seems like a very good opportunity to demonstrate to them that there might be more to it than they previously had given it credit for. I have discussed Digital Asset Supply chains before on DAM News and (in the context of Digital Transformation) there is quite a considerable scope for innovation by fusing blockchain technologies with Content DAM to realise them. Up until now, not much work has been done in this area, yet it has vast potential in terms of both revenue and available investment capital. Last year, we covered Mediachain, a startup using blockchains to improve attribution of digital content. I discussed this with various people in DAM and the consensus was that it was interesting, but very far from being production-ready. Medichain had already raised $1.5m in funding prior to that article and were acquired by Spotify eleven days afterwards. Other than the fact that most Content DAM vendors lack the imagination to see the potential commercial value in all this, I don’t think many would have technical difficulties with the implementation, it just hasn’t occurred to them to do it because they see still digital assets through a very restricted prism. We talk about a lack of innovation in DAM a lot (with good reason) and when not only an entire technology comes along which might offer it, but it is also accompanied by substantial amounts of liquid cash waiting to be invested, apparently (based on the post referred to at the top of the article) the best the Content DAM market can come up with is to rename itself to an existing adjacent field which is already over-crowded and positively thrives on vague objectives (with acknowledgements to the Dilbert cartoon anthology of the same name). I believe there is an element of desperation at work here. While profits at many Content DAM vendors have increased as they have become more efficient and skilled at delivering implementations, their top-line revenue is not growing at a fast enough rate to be taken seriously as an investment proposition. The modest amount of sector-consolidation that has come about to-date is because the owners of the firms in-question have given up trying to grow any further and have elected instead to throw in their lot with some other larger (or richer) suitor. Among the vendors who are still left on the shelf, there is confusion and fear about what to do next. Technology suppliers who do not innovate are more likely to die off because tech markets are usually deflationary (i.e. prices go down, not up). While not the only factor, the value of a tech businesses is primarily based on their ability to keep coming up with new products. If that doesn’t happen, cheaper alternatives come along and erode margins until they fall to zero. There is usually a short period of unusually high profitability between innovation drying up and price deflation setting in – this is the phase we are in now. To use an analogy, tech firms are like shops that stock innovation; if it is not replenished, there is there is a short-term uplift in cashflow because more money is coming in than going out, but soon they have nothing left to sell and therefore no means to generate any revenue. De-stocking is a strategy shops use when they are about to close down, not expand. Some vendors have realised this and they now need to get access to other markets before it it is too late. Content DAM, in particular, is a software market characterised by very high fragmentation and numerous smaller vendors. Those who want to acquire enterprise clients (i.e. budgets of six figures or more) need to create some clear points of differentiation between their offerings and the multitude of ‘me too’ copycats who are now getting their running shoes on in preparation for the race to the bottom. I believe many of the sell-side DAM interests eager for everyone to drop ‘Digital Asset Management’ and transition to ‘Content Management’ are committing the mortal business sin of coveting their neighbour’s positioning (and the vagueness of it as an end-user proposition, in particular). The word ‘content’ is a linguistic cop-out, as evidenced by the ease with which you can substitute it for the word ‘stuff’ and still have sentences that make sense (even if you wouldn’t get away with using that term in a formal document). As I understand it, prior to its usage by Bill Gates in 1996, ‘content’ was a generalised description that lawyers came up with to refer to media in a generalised sense (and presumably so they didn’t have to say ‘stuff’ either). I am not advocating that those companies offering Web Content Management need to ditch the terminology that their brand heritage might be based around (nor even those who currently choose to call themselves ‘Content Management’) . Further, as explained above, I don’t object if the prefix ‘Content’ is applied, or another specialisation by those in Digital Asset Management who want to draw some lines of demarcation between themselves and others who deal in other types of digital asset, but make no mistake, digital assets should be front and centre of what all this is about, because they self-evidently already are. I have been actively involved with digital assets for a period in excess of 20 years, it has taken me somewhere close to the same length of time to get a proper understanding of why the term is a better one than it first appeared to be. I do accept the argument that ‘Digital Asset Management’ should probably not have been used to describe what were early photo management systems (a number of which I was involved with implementing myself). But that was then, this is now. Giving up on DAM when it has become established as a term is akin to the apocryphal story about the prospectors who spent many years digging a mine without finding anything, then gave up and sold their apparently worthless asset for next to nothing to someone else who subsequently struck gold after continuing for just a few more feet. I regard the interest in digital assets from other subject domains as a significant opportunity, not a threat (and one I intend to fully explore). If you hold an alternative opinion and take the view that ‘content management’ is a better description of what you do, then that is your choice and you need to prepare yourself for a substantial amount of work re-branding everything you have done to date and managing the risks associated with big positioning changes of this nature. I think this is folly, however and I intend to remain an active promoter of the value of digital assets in all the increasingly diverse forms that they are likely to take as the subject evolves and grows. First off, thanks for the very kind comments, Ralph. I appreciate them, and the thought you’ve given to this topic. To me, the primary difference between what we were doing 20 years ago and what we’re doing today is that everything back then started with a file. With a single file, it made sense then to “manage” it. We could add metadata, assign permissions, etc. But those of us who were doing so saw quickly that there was a flaw in that approach: When you take a full-body shot of the CEO and crop it to a tight headshot, do you have a new “digital asset” or merely a crop of the original? This, for me, was the start of realizing that it was the content in the file that mattered, not the file itself. The file was nothing more than a shipping and storage container. Yet in the DAM paradigm, this “box” was everything. There were no controls that governed the content itself, outside the boxes in which it was transported via email, the website, PowerPoint, print, etc. Now, a hundred years later, I see all sorts of examples of “fileless” content that should be carefully managed. Would anyone argue that a company can do more good or damage for itself via Facebook an Twitter posts than via InDesign brochures? DAM systems were never designed to manage content like this, save for a few social media integrations. But even those typically enable DAM users only to share file-based content. Digging deeper, inside each piece of content is a message of some sort. Where are these managed? Consider your average (virtually pointless) Facebook meme. Those same words can be reused on a virtually unlimited number of graphical backgrounds. For an organizations tracking that content, they’ll want to know which *words* resonated with folks most, and on which backgrounds were they most shared. Again, DAM systems would not be suitable for this. There is no doubt that file-based content needs to be managed. But in each such piece of content are numerous “message-based” content subcomponents, such as a copyright notice, an executive’s bio or last year’s official sales figures. Where do you manage this content? How do you ensure that it’s accurate and that all downstream content pieces that need to access it can access it? In the meantime, those managing advertising in the companies will be pounding their fists on the table because the advertising keyword “digital asset management” has become cost prohibitive because Fidelity and Blackrock will think nothing of bidding $100 per click. We DAM players are small potatoes against the financial giants. AND though what we do now is cleanly described as “digital asset management,” I don’t believe that term will well describe what tomorrow’s successful players are doing. This is why I advocate that we, as an industry, consider carefully how we define ourselves. In contrast to customer relationship management (CRM), marketing automation (MA), product information management (PIM) and, yes, even content management systems (CMS), what we call ourselves–digital asset management–is not a term that has ever caught on. We have to define it, agree on it, educate and convince, and, at the end of the day, most outside our industry still have no idea what we’re talking about. Meanwhile, those other adjacent industries have lapped us numerous times, in terms of growth, and their names clearly describe what they do. Those are all valid points about content vs files and I agree with all of them, but the question is about what terminology to use? I still think they’re digital assets, just the type of them is ‘content’ (and Mark’s point about calling them ‘media digital assets’ is not without merit either). There is content and it’s not always held within files, but it’s still a collection of data and you still need to be able to uniquely identify it in order to analyse it properly. I believe you’re thinking too much in terms of product and not enough about the semantics or process of what’s going on with all this. It’s not just financial institutions that are referring to these collections of data as digital assets, as per the article by Mehat Mahoun, this is extending to other fields also. It’s advantageous if there is some common framework that connects all these different entities together, even if a user of one digital asset might not care about other kinds they are not interested in. People in organisations who have to think about wider topics than a single system (or type of asset) need some way to connect these solutions together and get them to work in concert – this remains the single largest issue I encounter in many enterprises. On the advertising point, I can see where you’re coming from with this, but just like bidding for generic keywords like ‘car’ is pointless and expensive, so the same will happen with digital assets. If you’re Fidelity or Blackrock, do you really want a bunch of people costing you $100 per click when they are looking for something to help them manage a collection of videos? Similarly, if you’re a Content DAM vendor, you don’t want to pay for people looking for Bitcoin funds etc. So the obvious answer is to be more specific, i.e. ‘Content Digital Asset Management’. The second point over the interest from financial institutions is that a few of them might realise there is more than just crypto-digital assets (in fact, that’s happening now). This is positive for Content DAM as the understanding of what we’ve been doing for 20+ years begins to increase. There is some interesting developments taking place in cross-functional digital assets which I intend to cover on Digital Asset News. Again, it’s what I mentioned in the definition article on Digital Asset News, too many people see this through the prism (or possibly ‘prison’) of their own subject domain. 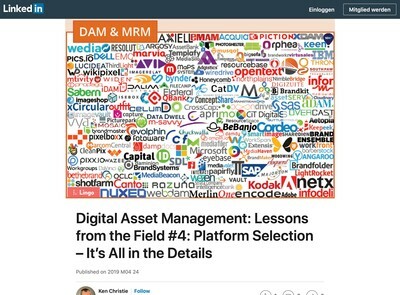 I don’t believe the name ‘Digital Asset Management’ is what has held Content DAM solutions back compared with CRM, Marketing Automation, PIM and content management. It’s the fact that the software can only partially solve the problem. Vendors claim their tools generate ROI multiples but that’s a myth, it’s the users who do this. Most DAM users (and more honest vendors) know this, it’s the users who generate the ROI by devising suitable metadata schemas and making sure they are completed diligently. Content DAM software helps to leverage their investment of time and money, but if there is no proper user input to begin with, you get no ROI. I don’t believe ‘Content Management’ is a great description either, especially as it applies to what you might have called DAM software (and that’s the same irrespective of how innovative or not the firm in question is). As I said in the article, you could call it ‘stuff management’ and that would still be an accurate description, all of which beg the questions ‘what stuff?’ and ‘what are we managing?’ The other issue is that ‘Content Management’ already exists and lots of companies claim they do it. Quite a few ECM vendors also claimed they did DAM many years ago, they did a poor job of it (as I have described in various other articles). As a user, you’re going to be quite confused, should you be looking for a former DAM that is now a ‘Content Management’ app, or just deciding to go for an existing ECM app? What’s the difference between the two? I think Content Management is a poor description anyway, this seems to make it more confusing. If it can mean ‘anything’ then effectively, it means nothing also and that’s the fundamental reason why I’m not supporting switching to it. While “content management” shows a decline of interest, it is still far and away the more “known” term. (See below.) By comparison, neither “digital asset management” nor “media asset management” have gained any traction, despite all the analyst reports that promise the DAM market will be bigger than the entire universe by 20XX. I’m just saying that we stop fighting to wrap ourselves in a term that is apparently not catching on for what we do. My concern is that we will see search interest in “digital asset management” increase now, but solely because of the financial sector. When that happens, Google will start favoring those results in search, and we’ll be left even more invisible than we are now. For advertisers, Google will rank content-related “digital asset management” ads lower, forcing us to pay more per click, simply because Google decides that “content” isn’t as relevant for “digital asset management” searches. I (think) I understand your point about this all being “digital assets,” even if we’re talking Bitcoin or a TIF. But I think it will be virtually forever until most organizations value or manage their images in the same way they do their currency. And, again, let’s think 5 years from now: Do we expect content system software to increasingly diversify in terms of capabilities, or increase its current trend toward sameness across market subsectors? I’m thinking the features arm race, as you once dubbed it, will encourage convergence in capabilities, paradigms, claims and goals. This has been a great discussion among industry insiders. 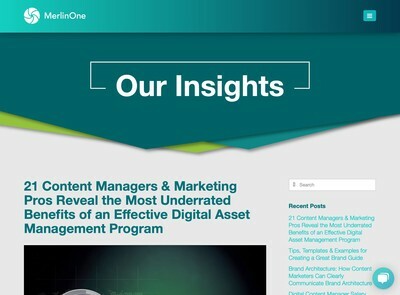 Though the focus needs to be on what does “digital asset management” mean to outsiders. Has there ever been industry research about awareness levels, and perceived meaning, of DAM among the general population? If there is no solid, or recent data, then some market research is a good (near-) future step that the industry needs to take. For decades we had to justify what DAM means, and I think we (and especially the two main contributors to this post) have done a great job in doing so. However, “Digital Asset Management” remains a vague term in my opinion, and it could be used for many things (including those things that are completely unrelated to our industry). While I have no hard data at hand for Scott, I’d bet that the vast majority of companies out there using systems in (some) capacity as a DAM would never think of calling this “digital asset management”. If asked, they’d rather speak of content management, brand management, file sharing (if not bluntly Dropbox) etc. Hence, I prefer the better descriptive term “content management” or “content system” with a preceding term such as “enterprise”, “product”, “web”, “creative”, “headless” to account for some of the differences in what’s substantially the same. Be it as a DAMS or CMS vendor, the mission will remain the same for us at Picturepark: Educating the market as a whole and buyers in particular where our content systems can help best. This involves recommending organizational change where we see it needed, and referring prospects to potentially competing vendors from whatever category if we see them better off there. Thanks for following up, but I can’t leave those points you make unanswered as this debate has existential implications for everyone involved. I don’t see what the relevance the Google traffic for a given search term has for anyone other than those trying to sell DAM systems or related-services. By the logic of your argument, we should change ‘Digital Asset Management’ to ‘databases’ or ‘websites’ because these terms are more popular. You can pick more or less any keyword you like and make a case for switching to it on the basis of popularity alone. These might be reasonable arguments for a vendor who is unable to attain their revenue goals to exit a market and go and find another one, but they are not satisfactory reasons for the whole field to have its name changed solely to accommodate them. The product of digital transformation is digital assets, because it’s about creating digital supply chains which add value. This is why digital assets is just coming into its own. With that said, I don’t think this should be viewed as some kind of popularity contest. Whether to pursue a given market or not is something for individual sell-side participants in it, not the wider sector. On your other point about the management of these assets, I never suggested it would be the same across them all. It’s a taxonomy, so there are ‘digital assets’ and subsidiary classifications thereof, like ‘content digital assets’, ‘crypto digital assets’, ‘big data digital assets’, ‘Internet of Things digital assets’ or ‘virtual reality digital assets’ etc and these might even sub-divide still further. There will be common attributes (especially within individual organisations) but the management activity will still be very much specific to the type of asset in question. I’m currently working with a client who want to establish what we’re calling a ‘digital balance sheet’ which considers their digital assets (and digital liabilities). Despite the name, this isn’t about accounting, nor finance, it’s operations management so under the auspices of the COO’s office. We talked about dedicated DAM departments a few years ago on DAM News, that hasn’t happened, but there is substantial and growing interest in digital assets among operations personnel in businesses, and it’s not only financial ones, across the board for any business that has a supply chain. A lot of DAM vendors have missed the interest in digital assets and digital asset supply chains that is going on right now, mainly because they obsess over the marketing/content side where most of the current revenue comes from. This speaks to the ambitions of most DAM software firms, the small revenues are a reflection of their small minds, poverty of ideas and inability to innovate to expand their businesses. I’d have to say, I think this is a reflection of the senior management of your employer also (although they’re far from alone, in that respect). The whole of the conclusion of that section relates to this debate. It’s inconceivable to me that organisations are going to spend billions of dollars on Digital Transformation programmes and not contemplate connecting the products they produce (i.e. digital assets). They might well be inefficient and make mistakes in realising this objectvie, but the competitive opportunity is too great to ignore. The term has come of age and now is beginning to mean something, hence why lots of people want to use it. I’m not sure if this positioning change is something you have really bought into or whether it is at the behest of other people, but irrespective, I would urge you to consider the weight of intellectual evidence in favour of digital assets as a suitable description. As I will cover in my responses to the other posts, this isn’t a popularity contest, nor a marketing campaign, it’s about the truth and getting as close as you can to it (with all the imperfections and flaws that are implied in that process). Lastly, are you going to require that the ‘DAM Guru Programme’ has its name changed to ‘Content Management Guru Programme’? What about those members (like myself) who don’t regard themselves as ‘Content Management Gurus’? I think you’ve underestimated the extent of this re-positioning and its implications. You can’t spend decades arguing in-favour of a subject and then expect people (like me, at least) to just drop it based on a LinkedIn post. Thanks for your contribution, but I need to take issue with what you have suggested. To answer your point with another question, why does the focus need to be what digital asset management means to outsiders? We’re trying to get at the truth of what the subject should be called here and I have advanced an argument and supported it with facts. I have not yet read anyone who has proposed a plausible alternative to my reasoning. To make a comparison, if 51% of the world’s population decide that world is actually flat, not round, should the 49% change their opinion? That would be ridiculous. It doesn’t matter whether the majority believe it or they don’t, it is the evidence that is significant. I don’t much care whether people agree or disagree with me over this issue (it’s too important for that). I’m not going to change my mind unless they can articulate an argument which genuinely convinces me. As I said in other responses, this isn’t a popularity contest, nor a sweepstake on a beauty parade. Asking a lot of people who don’t think they have an interest in digital assets seems like a fairly pointless activity to me and it’s actually a bit worse than that since it’s delegating a very important decision to some people who are the least qualified to do it. I’m in-favour of allowing people a choice of options (and they might differ from ones I believe are correct) but I don’t think asking them to come up with the ideas to begin has much merit and neither do I feel obliged to concur with them if they disagree with me. This is not a team sport, nor a democracy, it’s a debate, there are no winners or losers, only people whose opinions you share or do not. The other point I’ll note with this is that ‘outsiders’ is something of an amorphous collection of interest groups who are equally likely to change their mind later. For example, if you asked a lot of people in 1890 whether a better description for a motorised vehicle was an ‘automobile’ or ‘a horseless carriage’, I’ would anticipate that the vast majority would choose the latter. Ask the same question in 2017 and hardly anyone would say ‘oh, that’s obviously a horseless carriage’. People need to think about these definitions quite carefully and understand the implications of their decision over the long-term (i.e. as close to forever as you can think of). If you’re an ‘outsider’ you’re unlikely to give this task the attention it deserves because you don’t value the outcome particularly and you might think you don’t have to live with the consequences either. In other words, you’re not invested into the discussion. I can see your logic with this suggestion, but I don’t think it will generate a credible result that will survive the test of time – which it really has to. That seems pretty clear cut to me and can be adapted to a lot of different scenarios, such as content digital assets. What’s your definition of ‘Content Management’? If there is any term that is vague, it’s that one, not DAM. I’m not sure if you read my article above, but as I said in that, while it might have been a poor term when this market was being established, it’s now come of age and is a far better description. It’s arguably been done backwards, where the more specific variation should have been used first with digital assets being utilised later into the development of this sector, but that is a historical detail now which can’t be changed. I believe the reason that some DAM vendors want to move the goal-posts by changing the term is solely down to internal issues and their limited ability to generate revenue that gets them beyond seven or very low eight figure turnovers. The appearance of ‘digital assets’ as a term being used elsewhere had lead you and your colleagues to panic that your market penetration will be further diluted. You can sense the fear and frustration over this subject in some of David’s comments on that LinkedIn post. I can see the marketing strategy that lies behind all this, you all want to get access to ECM markets because you think that will give you the opportunity to generate increased revenues and escape the pedestrian growth you’re experiencing now. This presents a problem, however, because you lose access to your core customers in DAM who currently pay the bills. 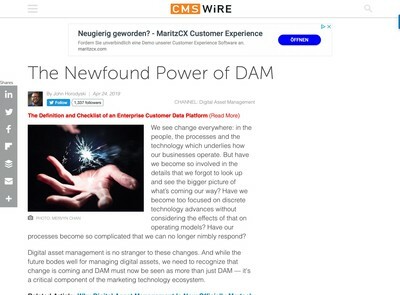 To avoid this inconvenient problem, rather than simply exiting DAM and moving into the ECM sector, you want to effectively merge DAM into Content Management, to do that, they need everyone in DAM to agree to it, hence all these messages along the lines of ‘let’s drop DAM and just call it content management’. ‘Well mathematics is really accountancy, isn’t it? I’ve looked on Google and most people are interested in dollars when they use numbers, so why don’t we drop ‘mathematics’ and just call it ‘accountancy’. The short-sightedness of this approach (and naked self-interest) is plain to see. Just like there’s an entire universe of potential and sophistication to mathematics as compared accountancy, so there is far more to digital assets than just content management. This approach you are advocating might suit Picturepark shareholders, but it doesn’t work for either me, nor does it the clients who I advise on their digital asset strategies (in all their various forms). I have advanced a compromise option, i.e. ‘Content Digital Asset Management’, that retains the connection with what we’ve already been doing for 20+ years and acknowledges both the difference and the similarity with other types of digital asset now emerging. If that isn’t something you can agree to then be straightforward about it and exit the DAM market in favour of Content Management, don’t try and heard everyone else in DAM over to something narrow and unsuitable solely for the benefit of your firm. Ralph, please believe me when I say that I’m not trying to push any vendor’s agenda. As I’ve announced, I’m leaving Picturepark at the end of October. I’m a fan of losing “DAM” not for the survival of a vendor, but for the survival of an industry and the practitioners therein. I just don’t think we’ll remain visible once the media starts educating the public about the “new” definition of “digital asset.” Suddenly, searches for “digital asset expert” won’t find Ralph Windsor or David Riecks or Henrik de Gyor, they will find Fidelity and BlackRock and Charles Schwab. I just did a Google News Search for “digital asset management” and the top story was from the Financial sector. It’s only a matter of time before that filters through to the web search too. Your mention of ECM, MAM, etc. is exactly the problem: There are too many terms describing variations on the same theme: the management of content. Throw in PIM and it gets even worse. And ALL of these were vendor-invented terms. I’m just advocating that we remove all those distinctions so that we level the playing field and enable software to stand on its own merits. Let there be sub classes, but let them exist beneath a common root term that is obvious. Right now, we have multiple root terms, and that has always caused confusion. Sure, PIM systems do things that DAM systems don’t do. But isn’t this a feature-level difference? At the core, aren’t both system types being used for the management of content? Aren’t there policies, approvals and other common factors tying those system types together? I say they are more similar than they are different. “Digital asset” might seem familiar to us, but it’s not familiar to those outside our playground. Just look at all those interviews on the DAM Guru and other sites where people talk about no one understanding what it is they do. After all, we don’t see this term anywhere else. The Photoshop Digital Asset Editing Program? PowerPoint Digital Asset Presentation Program? The concept of “content systems” first came to me when I was writing my “Metadata for Content Management” book. At first, the book mentioned DAM throughout. But then I realized that I was talking about more than DAM. I needed an umbrella term for all systems that deal with the management of content. “Content system” seemed clearest to me, even if it wasn’t an established term. I saw this, too, when writing DAM Survival Guide, but at the time, I figured DAM was the most suitable term. But this is what got me thinking about an umbrella term for the practices behind these systems. “Content management” is vague, but wonderfully so because it doesn’t *require* a definition in the context of many conversations. 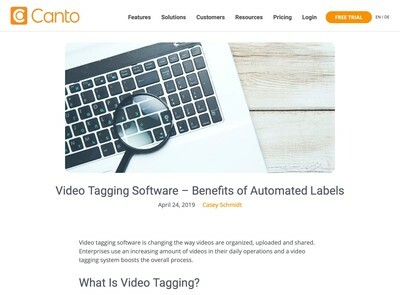 Perhaps the discussion is about managing images or videos or presentations or PDFs or product data or tweets or Facebook posts–it doesn’t matter, if the discussion is about the practices rather than software. Policy, approvals, storage, routing–all those things remain relevant in the abstract. And I think this applies to practitioners too. I’m sure there are many content managers with library science degrees. Is a librarian’s education not transferable to DAM, PIM, MAM, ECM or any of the other content ghettos? Likewise, the expertise that you and others have mastered over the years is applicable to the practice of managing many types of content. With regard to legacy issues, such as the naming of DAM Guru Program or the URL of this website, who knows? CMSWire still uses a domain that many would associate with WordPress and Drupal, yet they address all aspects of content management these days. On the other hand, “CMS Watch” long ago re-branded itself “Real Story Group,” presumably because they saw what they did being applicable to more than just those systems. For me, this really isn’t just about the Financial sector muscling in on our term; I was thinking along these lines before I saw evidence of that. But now that I see that, I realize a line has been drawn in the sand. While we might not have historically seen ourselves aligned with “content management,” I think we need to get there fast, if we want to remain visible. But, again, this has nothing to do with any vendor. I wish Picturepark well, but that company’s fate is no longer tied to my own. If I have any self-serving motives in this, it would be that I don’t want the knowledge I have acquired over the past 20 years I’ve been in this industry to become invalidated because prospective employers and resume search engines assume I know something about Bitcoin. Thanks Ralph, for your comments. As a vendor that grows organically and is spending a little fortune into the development of DAM and CM products, I’m very much aware of the risk of repositioning of a product that is currently recognized as a DAM. I also still know many of those that pay the bill pretty well and in person. As a small Swiss vendor, we’re not keen to face even more competition by entering another already very saturated and fragmented CM market, and we’re definitively far any priggish believe that we should rename DAM into CM just because it could benefit one of our new products. My contribution was made with no Picturepark marketing strategy or ego in mind, and triggered based on the more recent observation which got this discussion started: Given the financial sector using the term “digital asset” for forms of money, which term will people working with content in varied roles and across industries associate most with what a DAM does, today and in the future? I’m not sure how people should and will interpret “binary” and “self-contained”. Does this mean it’s in a file? If so, why not call it “file asset management”? And then how about those contents not stored in files but solely in databases of applications? Are they out of DAM scope? And if “digital asset” doesn’t essentially mean files: how does it differ from “digital content” (or “content” in short), a term which needs much less explanation because it is commonly defined already? How is “value” determined? Isn’t every bit of data stored associated with costs and hence value? Doesn’t value change over time? Isn’t this term further nourishing ambiguity when contrasted with the (financial) asset management industry which has the power to overwrite the meaning of “digital asset” in no time? I’m overly picky on your definition, of course, and you could do the very same using the common definition found here for CM: https://en.wikipedia.org/wiki/Content_management. As a reminder, I was suggesting to add a “prefix” term to Content Management such as in Product Content Management or Brand Content Management, and I saw you taking on this a bit by offering “Content Digital Asset Management” which I’d rather not recommend as definition because “content” and “digital asset” by my common undderstanding means the same (although the format or container, file-based or fileless, might differ). Let’s be honest: We all have an interest to stick with the DAM term because we carry it in our domain names, marketing blurbs and CVs. This might pay out for a while and there is no need to immediately change what’s established and works well, but I’m afraid it doesn’t work over the long term, increasingly less so with the recent developments in (financial) asset management. Those moves there might be short-lived – who knows. On the point about vendor’s agendas and your own role with this, given the considerable integrity and authority you’ve personally demonstrated over the years I’ve been in conversation with you, I’ll take your word for it. To the question of people like me ‘disappearing’, I’m not sure that’s a massive loss to the world (and you might be quite keen for me to, right now!) although it would be far more so in the case of people like David Riecks, to use one of your examples. I don’t know that changing the term to Content Management is likely to improve the situation though, since all the previous on-line articles refer to ‘digital asset management’ and it’s next to impossible to alter them all, so you’re more likely to get a mix of both terms and some confusion about which it is, especially as I will continue to be referring to all this as ‘digital assets’ (whether content ones or another subsidiary type). The Content Management market is also pretty crowded and it’s equally likely to be swamped with a whole bunch of other people already active in that area. I don’t think that argument proves anything either way, the logic is reversible to prove the opposite case. On the subject of not many people having heard about digital asset management (and digital assets) the issue with that perspective is that it’s looking into the past when people hadn’t heard of the term ‘digital assets’, while they had heard of ‘content management’. As I said in the article, however, that was then, this is now and more people are becoming aware of digital assets and it’s not just in Fintech, it’s being used by government bodies (i.e. so it is now enshrined into formal legislation) further as per our article from Medhat Mahoun, other fields like IoT and VR are referring to these packages of data as ‘digital assets’. The point is the same one I made about automobiles and horseless carriages to Scott, the latter used to be the more popular term and made more sense in the past, but it definitely doesn’t now. The same is going to occur with digital assets. I’m about as confident as I can be over this issue and I don’t really care too much if I disappear into the obscure regions of Google’s cache over my continued use of ‘digital assets’ as the superior and more accurate term (in my opinion, at least). As I said, I’m not interested in popularity contests, nor advocating for the DAM industry, if people don’t agree with me, they can take it or leave it and do whatever they feel they must. Until I’m offered a plausible reason to change my mind over this, I’m not going to and I’ve not heard a satisfactory one, thus far. I don’t think enough people grasp this, the discussion about what digital assets are is still very much up for grabs, it’s not canonical in any sector apart from content DAM (where a number of you now want to abandon it – see my comparison with the abandoned gold mine in the article). The point is not just that they’re digital assets, but that you get different types of them that are suitable in different contexts, an alternative description for which is ‘metadata’ (which applies to a lot more than just content). On the file question, no, I don’t think a digital asset is exclusively a file, only that some element of the data allows all of it to be encapsulated (e.g. to be transferred) and this is what makes it ‘self-contained’, it could be a file, or more generically (and usefully) just a unique identifier. This is why ‘crypto assets’, user accounts, domain names, JPEG image data, Google keywords, websites etc do not need to be ‘files’. That’s merely a conceptualisation that operating systems employ and primarily exists because paper files were used a lot in the 1950s and 1960s when data storage technology was first developed. See my previous comment about automobiles and horseless carriages (which also presumably explains why the term ‘horsepower’ is still used sometimes, even though there aren’t many horses involved these days). That’s also why it isn’t ‘file asset management’, because it’s lower level than that, i.e. binary, consisting of 1s or 0s or ‘digital’. So to answer your other question, digital data stored outside files can quite clearly be ‘digital assets’ also, the file (or lack thereof) isn’t important. On the value question, I’m not trying to determine what value it has, nor say who say decides it (that will be via any of the usual mechanisms, i.e. what people are willing to do or pay to own or use them). Valuation of digital assets (or any other kind of asset) is a whole different topic, but it doesn’t change the fact that all assets (digital or not) have value, however large or small it might be. If the data exists, it has to have a value because just to create and store it will have cost someone something, however minute that might be. I don’t see why the involvement of any interest group changes this definition and I don’t understand your point about ambiguity. Whether or not the financial industry can ‘overwrite’ the meaning is no different to those in the content digital asset management industry wanting to do this and change it to something else. They can do this if they wish, but (of itself) it won’t cause me to alter my opinion. As I keep saying, I’m waiting for someone to offer me a convincing argument that persuades me to change my mind, until that point, I’m not going to. There is no ‘ask the audience’ or ‘phone a friend’ option here, everyone will have to make their own mind up themselves and be prepared to argue in favour of their opinion, as they see fit. I don’t agree, as I’ve explained, content digital assets are a different types of digital asset to others. There’s a hierarchical relationship, the parent term is ‘digital assets’ and there are distinct subsidiary types, e.g. ‘content digital asset’, ‘crypto digital asset’, ‘big data digital asset’ , IoT digital asset’, etc. They all share ‘digital asset’ as a common attribute or base classification, but they are also different to each other. Think of that adaptive metadata feature your firm developed and then apply this to the wider concept of digital assets. If you want a concrete example, consider the ‘car’ comparison in the original article (i.e. ‘electric car’, ‘estate car’ etc). Obviously these hierarchies and relationship can be complex, poly-hierarchical and inter-connected too (just like many other subject domains). There are going to be lots of different kinds of ‘digital assets’ emerging very soon, in fact I would postulate that the possibilities are quite literally endless. One sector might hope to corner the mindshare market in digital assets, but they won’t be successful because the subject is far bigger and has far more profound implications than can be contained by just one alone. I believe they were onto something here, don’t you think? I agree with your point, that the mission is what is important. In a Linkedin Pulse post yesterday I wrote of my first glimpse of a DAM product. In 1993 my then-employer bought a single-user edition of Aldus Fetch (an Extensis Portfolio ancestor) at the recommendation of an outside consultant. Fetch solved several problems for about hundred dollars, or so. I didn’t care about the “official” name for this product’s category. I don’t even know if the term “digital asset management” was coined yet. It wouldn’t have mattered anyway. As I’d mentioned in the Linkedin-group phase of this discussion, I thought that term sounded like it was related to financial planning. If an organization can clearly articulate (and demonstrate) which problems their product/services solve–and how they solve them– for a customer/prospective customer, then the vendor’s self-imposed label is a secondary concern. There are outsiders (er, customers) that: have final approval on vendor selection, sign POs, are project sponsors, renew contracts…. Regardless of which TLAs that the vendor embraces, there is going to be some level of effort required by insiders (vendors, and a candidate-organization’s insiders) to evangelize a solution and close a deal. You and I (and everybody else) are free to choose the path and terminology that work best for our individual contexts. To clarify, I wasn’t suggesting that outsiders would decide what this DAM industry will call this damn industry. I was recommending that if “digital asset management” is found to be a deficient term, then as David has pointed out, there will be ever-increasing confusion as the financial sector tightens its embrace of the term. Rather than relying on collections of anecdotes, the industry should consider some formal market research about consumer awareness. Otherwise we’re just caught in a “Less Filling!” vs “Tastes Great!” loop. The flat-planet analogy is a bit off. The form of the Earth is a reality and there are perceptions (right ones and wrong ones) of that reality. Whether something is/or is not DAM or is not CM; is ALL perception. Regardless of the terminology we prefer, or CTAs (content thing acronyms) we hold dear, the definitions of DAM, ECM, DM, LCMS… all of them..are in the eye of the beholder. An example: for years North Plains’ Telescope has been pretty well-entrenched in the the DAM-proper space. Some time ago they were selected by the Utah Education Network for the UEN’s learning content repository. UEN chose a DAM product for its learning-content repository. Thus, isn’t true to say that Telescope is an LCMS? Also, the fact that UEN is and an enterprise and Telescope was managing content for that enterprise, would makeTelescopes an ECM, wouldn’t it? It’s not all that hard to make an argument that SharePoint, WordPress and iTunes are DAM solutions. (I know, I made several of you cringe.). Isn’t the content being managed by SharePoint, WordPress and iTunes digital? In an organization’s context aren’t the content morsels being managed assets? The fact is that all of the above have something in common with Cumulus, PicturePark, Widen, WebDAM….they are all managing content. The only thing I can say with assurance about the future is that it’s coming. Though I think David’s forecast of the Bitcoinification of “DAM” search results seems probable. One reason is that as mentioned in a previous post that “digital” has become borderline-superfluous with respect to content. How often do any of us say “digital” photo anymore? However, when talking about money, “digital” is a key descriptor because it provides clear delineation from greenbacks, gold, salt, etc. My opinion is that usage of “digital” will grow with respect to money but will be used less and less with respect to content (assets). The other reason: companies like Fidelity and its DAM friends will outspend us our DAM friends. Because they can. Thank you for the clarifications, Ralph. I do very much share your visionary view on what a “digital asset” could be in an actually very universal sense (hence I called it “vaguely” or “ambiguously” defined). I can also state again that we at Picturepark seek applicability beyond DAM. I just have doubts that the DAM industry as it stands and behaves will ever recognize this when it’s substantiated and presumed roadmaps hardly go beyond managing files in a probably a little bit more collaborative, automated or at best integrated way. Hopefully, the scope of what DAMS manage will become other forms and types of content, and ultimately any kind of data objects. So the term “digital asset” as defined by you might be right for where you see it going, and this vision ultimately is much closer to what the financial asset managers have in mind than the DAM and CM industry combined. And the moment the DAM industry understands, others from “outside” are already there, and defining the playground. Before I started the DAM Foundation (a meme placing DAM at the heart of content metadata management) our world was strewn with three letter acronyms and confusion was the norm. Today DAM is gathering more pace across the globe and due to its complexity, it becomes a science. An asset is a part of the content, but not content management in and of itself. Web Content Management is synonymous with content management, good luck with changing that nomenclature. As we know Content Management cannot do DAM, nor should it. And none behind the firewalls around the world are ready for DAM to become the beating heart of the semantic web, including most vendors. Instead of changing the name of what we do, let’s focus on DAM’s place within Content Based Information Architectures and indeed encourage as a collective industry in this world of large transformation budgets that DAM is the foundational part of the content lifecycle and a new department needs to be built within every company called the Central Intelligence Department (other acronyms available), because to me it is clear the web of structured data, so called Web 3.0 is here, and context, relevancy, and trust (think fake news and disinformation) is the new competitive advantage which will once again change everything … DAM is very much a part of moving the content needle from Optimal to Optimised by way of digital asset optimisation. Sadly the current DAM Zeitgeist is at Ad-Hoc to Incipient. The business case for DAM has just entered exponential growth, and so should the enterprise if they are not to be disrupted.